We're quickly approaching the end of January and I'm wondering how people are doing with their New Year resolutions. If your desire was to read more books, the library is the perfect place to help you reach that goal. Maybe you've already visited your local library and they didn't have the book you were looking for. Perhaps you were able to request it from one of the other branch libraries in our system. Loan requests between branch libraries are fairly simple and are usually filled promptly. But what if our library system doesn't own the book at all? Then what? That's when you need the Reference department working on your behalf. We can offer you the wonderful world of Interlibrary Loans (ILL). The ILL service enables you to borrow books from libraries outside of the Annapolis Valley Regional Library system. These books are often owned by other regional libraries in Nova Scotia. Once you submit your ILL request, either at a branch or via our website, we will search high and low for the book you wish to read. We will start by searching the 8 other regional library systems in the province. If the book is not found, then we will expand our search to include academic libraries within the province. We don't have to stop there either. If you wish, we can search public and academic libraries across the country. Many libraries in Canada participate in and support Interlibrary Loans because it's a simple and cost-effective way to share resources among libraries and with the public. This service is offered at no cost to you. All you need is your library card and the doors are opened for you. When a book is borrowed through ILL, we are obliged to abide by the policies of the lending library, and to pass those stipulations onto you, the borrower. Often, books may be borrowed for 2-3 weeks and sometimes renewals are possible. Occasionally a book may be owned only by a library that charges a borrowing fee. But don't worry, we will always check with you first to see if you are willing to pay any associated charges. ILL requests are considerably more time consuming than branch to branch requests. The average wait time can be anywhere from 6-10 weeks. It all depends on the volume of requests and the availability at lending libraries. We set a record in 2012, requesting more than 7000 items for our borrowers through Interlibrary Loan. That's an increase of over 1000 items from the previous year. We are known for, and proud of, our dogged determination in getting you the books that you want and need. So please don't hesitate to give us a try and put our Interlibrary Loan service to work for you. January 27 is Family Literacy Day. 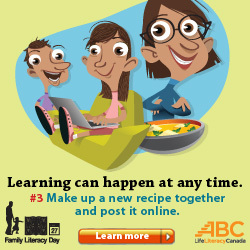 Family Literacy Day is a national awareness initiative created by ABC Life Literacy Canada in 1999 and held annually on January 27 to raise awareness of the importance of reading and engaging in other literacy-related activities as a family. This year the theme is "15 Minutes of Fun" - - a reminder to take at least 15 minutes a day to read together. Literacy isn't just reading together, though. Literacy can be found – and practised- in so many other ways. Play a board game together – most games involve some reading! Make dinner together, using a new recipe. Create a grocery list. All involve reading! January 27 falls on a Sunday, but some of our libraries will be hosting Family Literacy Day events earlier in the week. On Friday, January 25, the Berwick Library has stories and crafts, and in Hantsport the Friends group has put together a flyer to send home with all Hantsport and L.E Shaw school students encouraging families to participate in 15 Minutes of Fun literacy activities. Families who complete 4 activities are eligible to enter a prize draw for a $25 gift certificate from Box of Delights bookstore in Wolfville. Year-round, we celebrate Family Literacy by offering storytimes, LEGO and board game programs, our annual Summer Reading Club, book discussion groups, computer tutorials, and more. So plan your own Family Literacy Day at home, and come see us any time for a Family Literacy outing. Q: I received a tablet for Christmas. Do I need to install an Antivirus program like I have on my PC? The answer depends on the tablet operating system (OS); basically what kind of tablet do you have, Android or Apple. No matter which system you have, the first and best defense against any attack is common sense. Do research on any app you want to install, read the reviews, are there other apps that do the same thing but have a higher rating. Only install apps from the official app store, it is possible to jailbreak and freely install apps that normally cost money but you also run the risk that the app has been modified to steal personal information or worse. Apple tablets and phones are generally considered to be very secure. 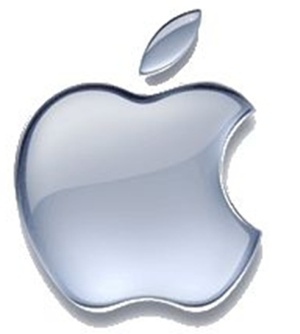 The operating system (iOS) is designed to take advantage of a closed system where Apple is the gatekeeper and determines what applications can be used on the tablet. Apple has also built a lot of security into iOS as it has been updated. If your tablet is ever stolen or misplaced you can track it using iTunes and remotely wipe it so no personal information is left. 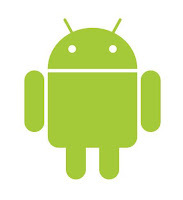 Android is built on a more open system that allows you to customize it to suit your taste. While the platform is also built with a lot of integrated security, the fact that you are able to personalize your tablet more than iOS may be exploited to allow malware to run on your system. 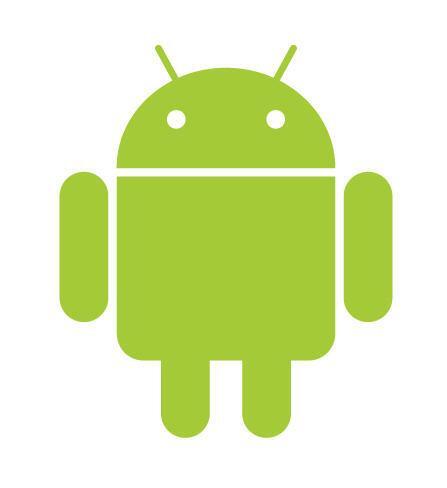 There are many security apps in the Google Play Store that offer a range of protection features including the ability to scan for malware, locate the tablet, backup information and even remotely wipe any personal information. The vast majority of malware is focused on stealing your information. It is certainly dangerous but it’s also like a vampire – you have to invite it into your home, or onto your tablet. It doesn't spread by itself and if you are sensible, you can avoid it without antivirus software. You may however be interested in the other components that are packaged with the app. Backups are always good to do and an app that allows you to locate your tablet is handy no matter if it is stolen or left at your mother's after a Sunday get together.